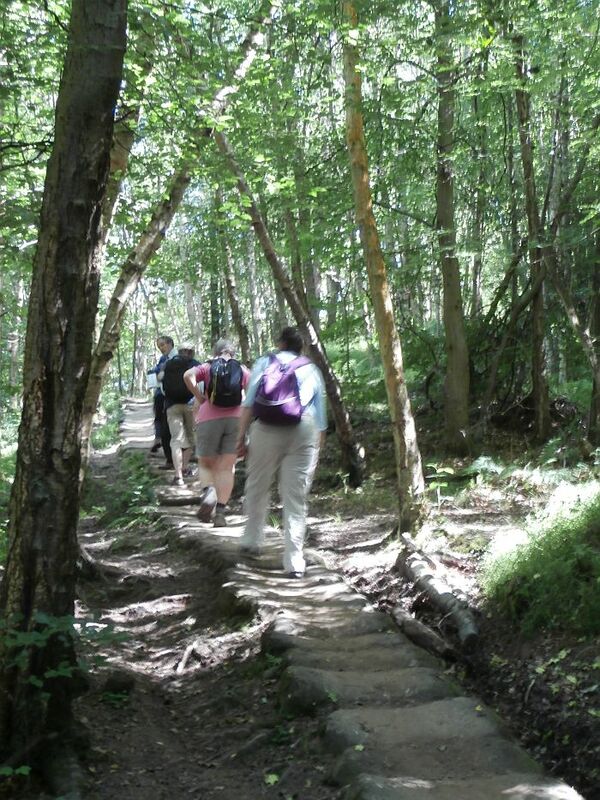 Day 6 of the St. Hilda’s Way launch was featured on Radio 4 last Sunday. Click here to hear the clip from the show or here to see some of the photos taken. 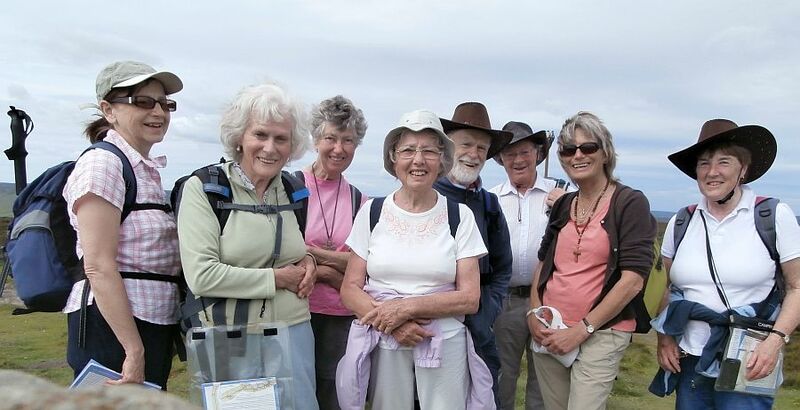 I don’t know how long the programme and gallery are likely to remain on the BBC pages but, for now, the main page for the series is BBC Radio 4 Sunday and the episode that featured the walk was Migrants, Pilgrim walks, Women-managed mosque. Today the weather was perfect, bright and sunny and not as hot and humid. Meeting at the Railway station in Whitby was perhaps not the best for Bob from Radio 4 to do some recording, but we managed. Steve, Carol, Margaret and John came to join us for the walk and Clare re-appeared unexpectedly. She had enjoyed it so much yesterday she came for another dose!. We made it to St Hilda’s RC after their Mass. The organist came to give us some information about the church and the congregation. Then through Pannett Park and off to St Hilda’s Priory at Sneaton Castle. The sisters were waiting for us and we had juice and biscuits and a time in their chapel before a photoshoot. Sr Carol told us about her call to the veil. 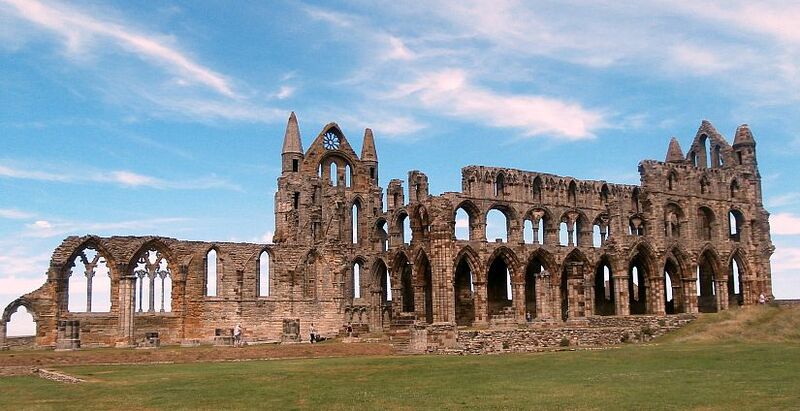 Then to the sea front with great views of the Abbey in front of us. St Hilda’s Anglican Church was opened for us to admire the huge Bishop’s Chair and pray for Bishop Alison as she would be being ordained in York Minster this very day. 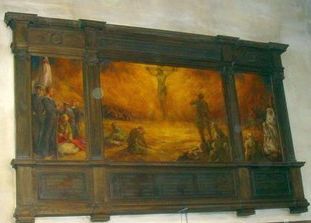 We also saw the Picture of Christ on the cross amid the killing fields of the First World War and prayed for the victims of this week in Tunisia. Then down the West Cliff and across the Esk for the final ascent to the Abbey via Caedmon’s Trod. The bells of St Mary began to peal just as we arrived at the church and we could hear them as we walked through to the Abbey grounds (courtesy of English Heritage). A final prayer before going into St Mary’s for a communion service where we could light candles in thanksgiving for our pilgrimage and sing the famous hymn ‘Who would true valour see’. Nancy, John, Barbara, David, Pat, Rosemary, Alan, Christine, Hilda Mary, Jan, Hugh, Angela, Barry, Barry, Jean, Graham, Joan, Don, Christine, Bernadette, Malcolm, Sam, Penny, Paul, Anne, Anne, Joe, Peter, Barry, Ian, Paul, Robin, Graham, Paul, Matthew, Jayne, John, Clare, Anna, Veronica, Steve, Carol, Margaret, John, Bob and four dogs. 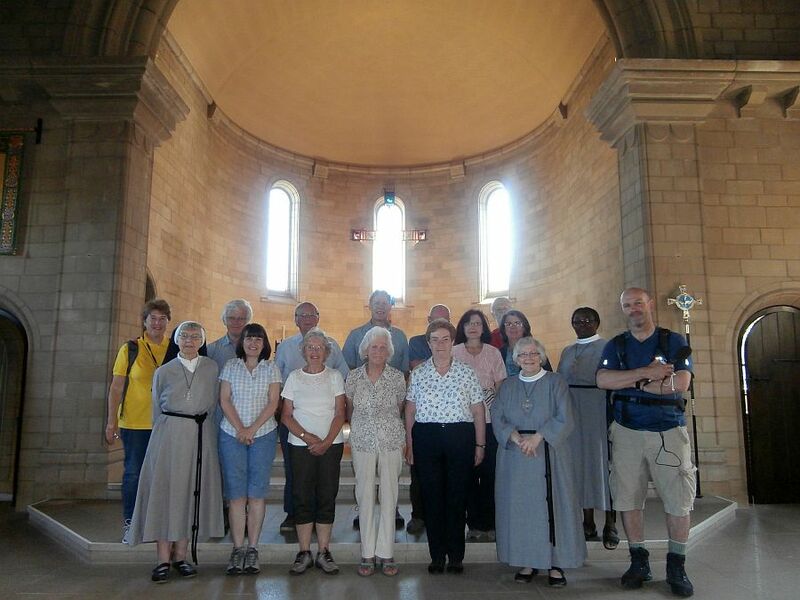 This day’s pilgrimage was recorded for Radio 4 and will be broadcast on their ‘Sunday’ program in August. Another warm day. We started from Sleights railway station today with an interview with Sîan from Radio Tees. This should be broadcast this coming Sunday and I will put in the link when I have it live. 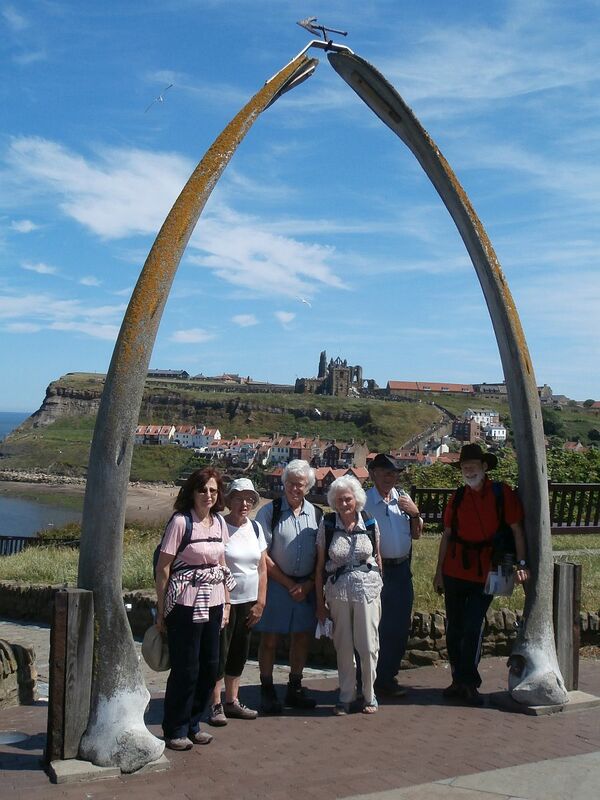 Nine pilgrims today with two new ones for the day this time from Scarborough. There were lovely views of Sleights as we ascended but unfortunately the steam train running to Whitby was hidden from our sight by trees. 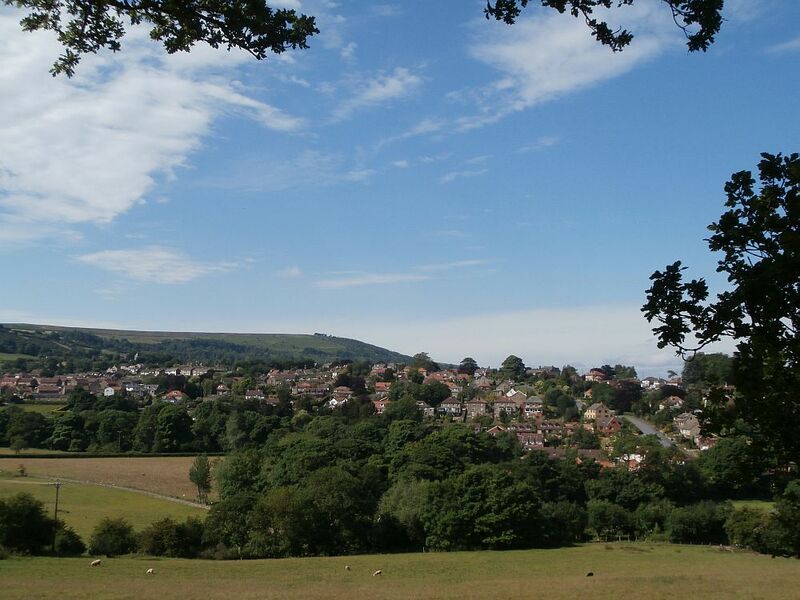 However we could see the sight of the Abbey, St Mary’s, St Hilda’s Anglican and St Hilda’s Priory as we journeyed on. 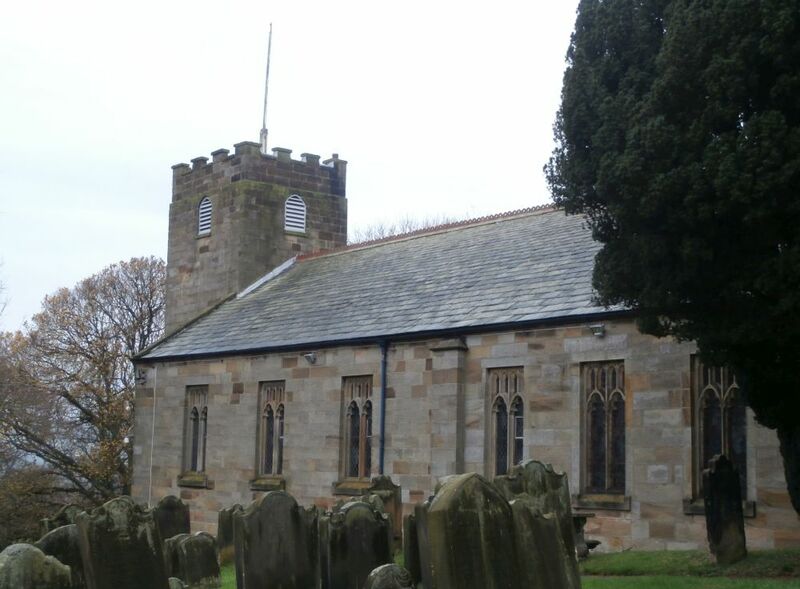 The church today was St Hilda’s in Sneaton. 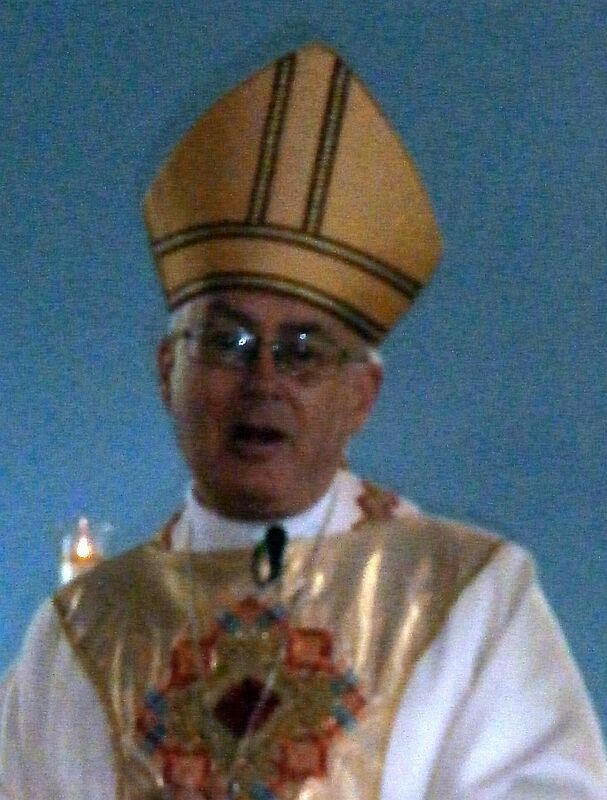 Here we were welcomed by members of the church including the organist who played for us to sing ‘Praise my soul the King of Heaven’. So rousing was the singing, we sang it again. 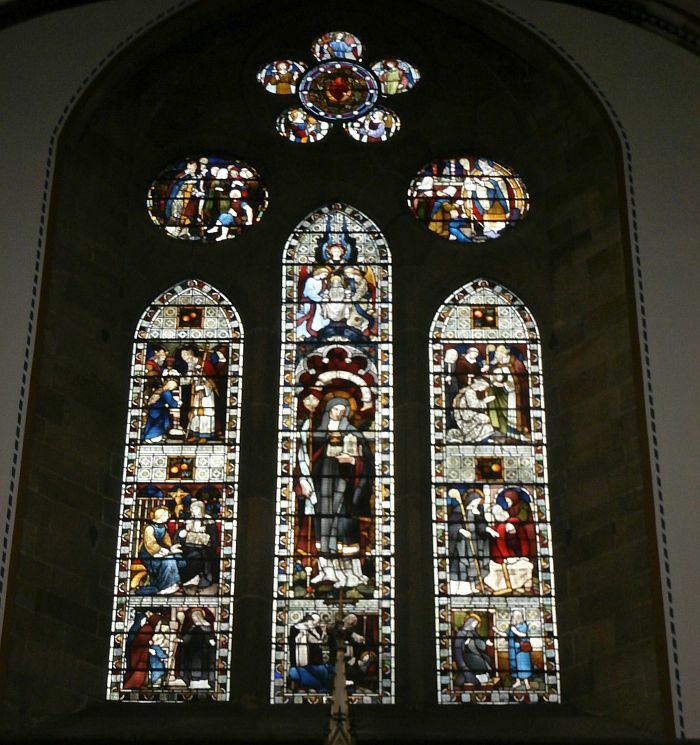 Appropriate for Caedmon, whose serene figure shone over us from the stained glass window. Then we crossed the road to some delicious refreshments from three ladies of the church and enjoyed a rest in the village hall. 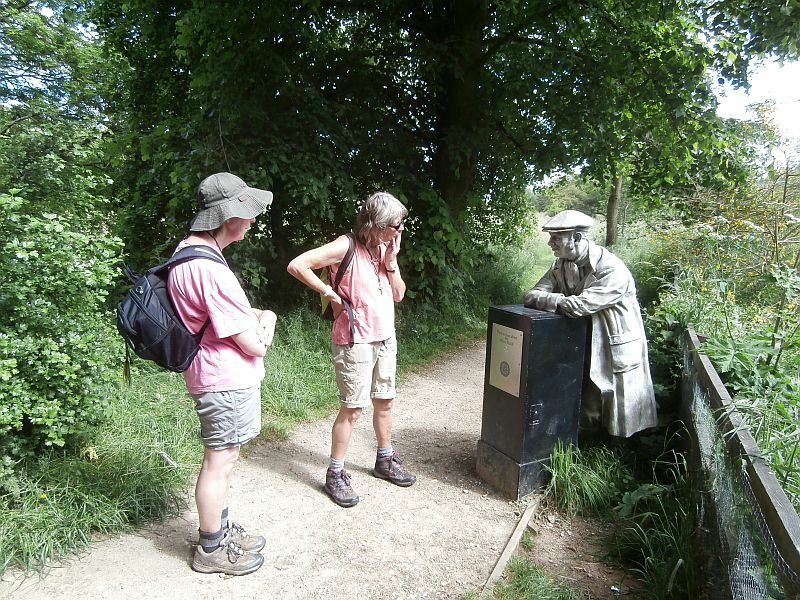 The vicar, Veronica joined us for the next stage of our journey as we went along the ‘Monk’s Trod’ heading for Whitby. The viaduct over the River Esk, which now carries the Scarborough-Whitby cycle route, gave us even better views of our final destination tomorrow. A final prayer in a quiet back street before we joined the throng of holiday-makers at the river side in Whitby and caught a glance of the book ‘Walking St Hilda’s Way’ on sale in the Tourist Information Centre. 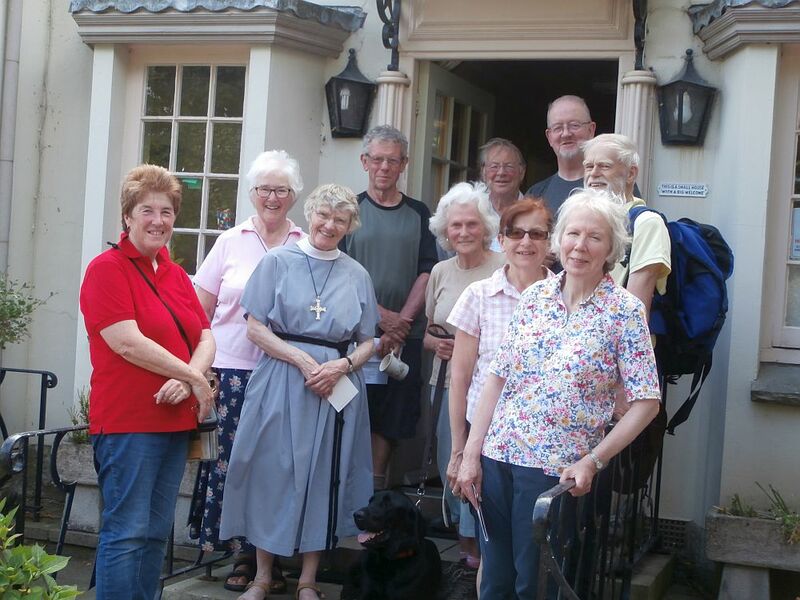 We met up by St Hedda’s – seven pilgrims and dog to start the day. Paul and John from York joined us. There was a steep pull up the hill to the Egton Mortuary Chapel which is our first stop today. 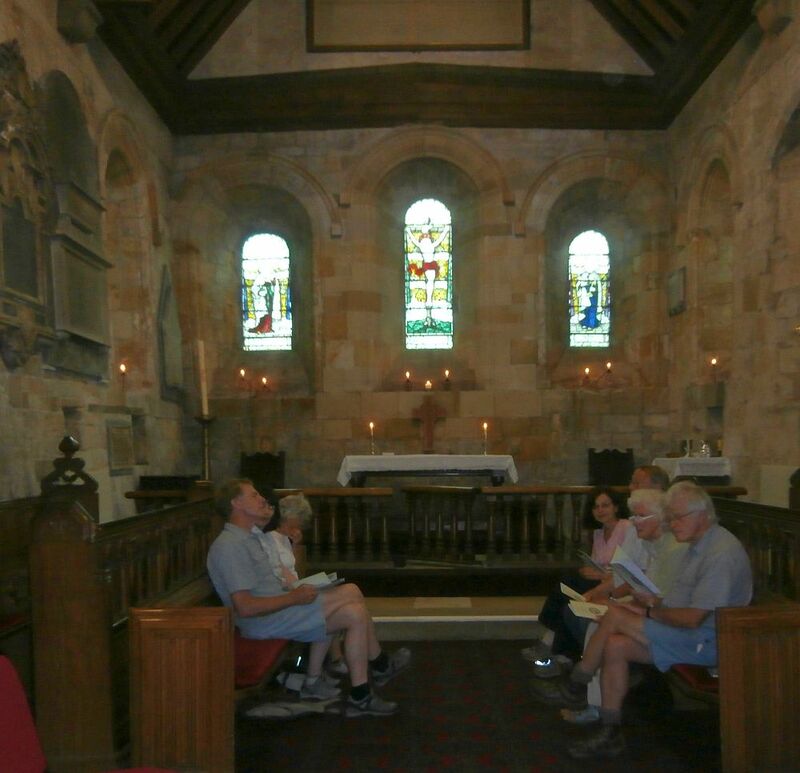 We were met by churchwarden Peter, who had opened up the chapel for us and gave us some history of the chapel and a look at some of the old maps and photos and papers. After our song and prayer at the chapel we went on to St Hilda’s Egton (dodging a low loader which had come for the vicar’s broken down car!). 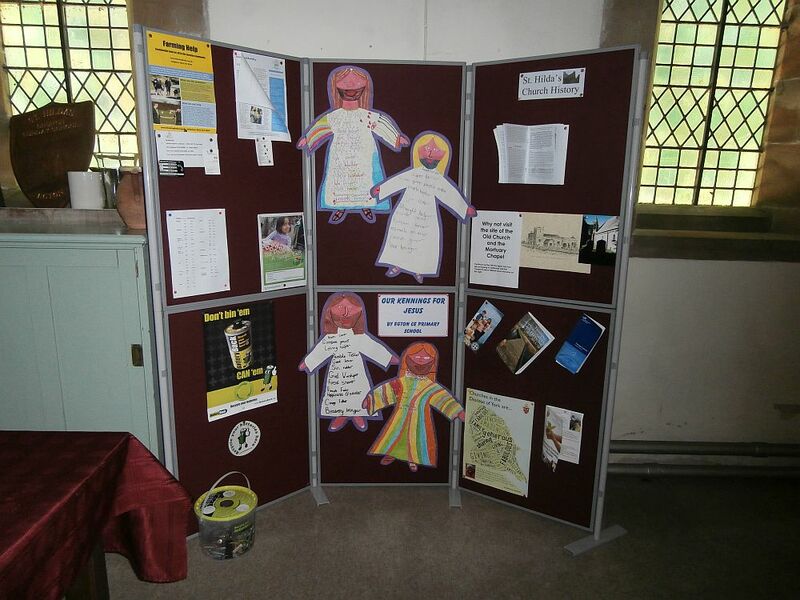 This church has a good ministry to the next door school and children’s work was displayed for us to enjoy. Here we mused on Hilda the teacher and thanked God for those who had taught us. 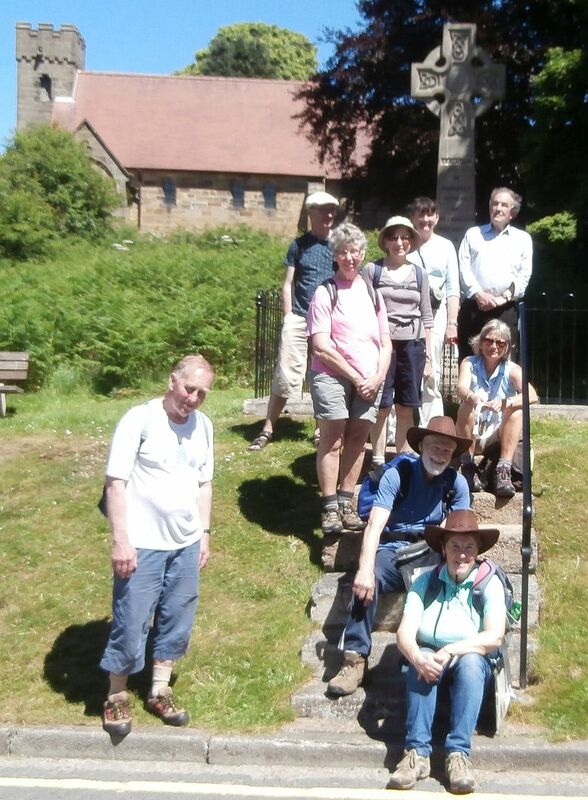 After welcome refreshments at the vicarage we were joined by Christine the vicar and got as far as Grosmont for lunch. 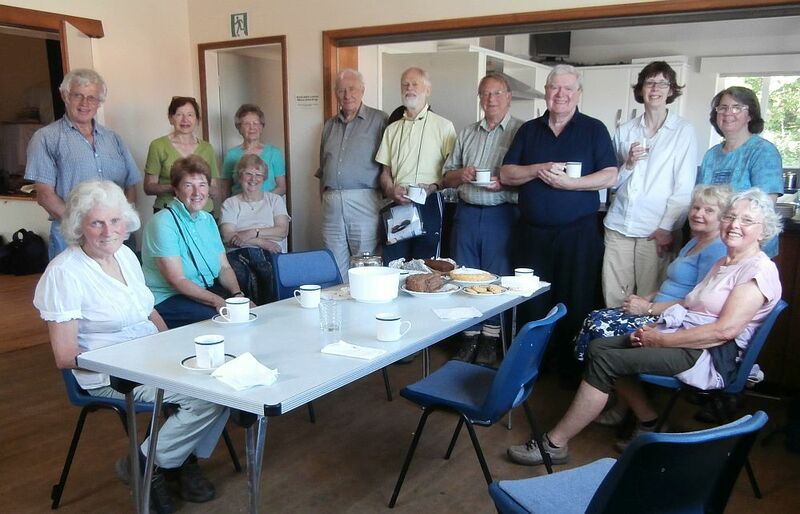 The temperature rose in the afternoon as we walked on to St Oswald’s Pastoral Centre at Sleights and new made scones, tea, coffee and cool water were most welcome. A final fillip for the day was a phone call from Radio 4. They want to come and record an interview with us on Friday for a programme in the autumn! St Hilda is to make National Radio. The weather forecast was right. It was hot today. 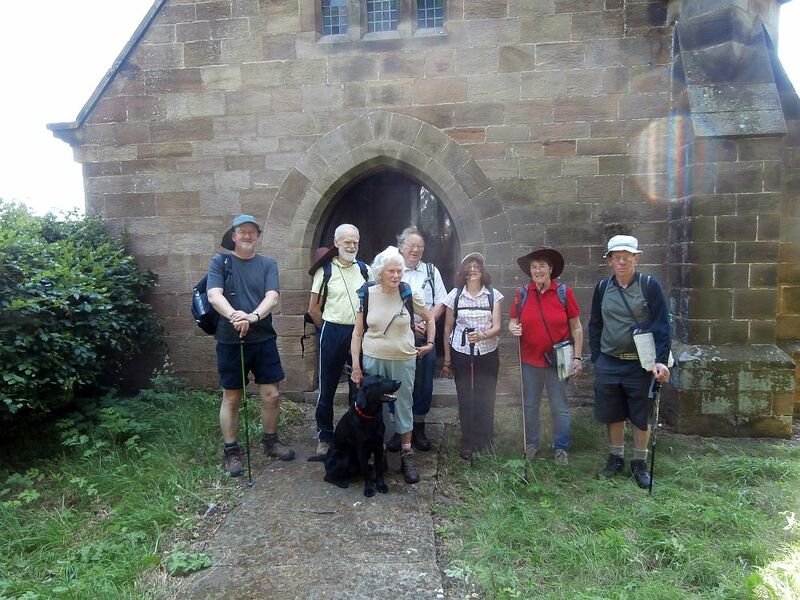 We had eleven pilgrims set off today plus one dog. The visibility was very good and so as we walked along to Lealholme there was plenty to see. Lunch in Lealholme found us sitting thankfully under spreading coper beech trees with the church behind us. 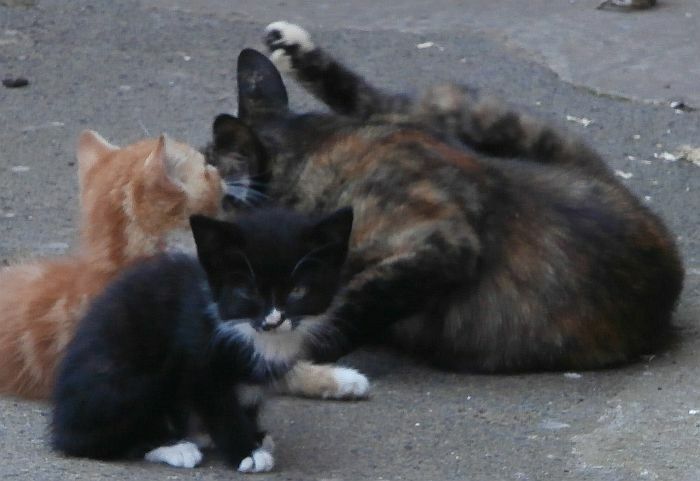 Then after lunch we found an unusual farm on route with the world champion Birmingham Rotating pigeons along with two families of kittens and unusual breeds of fowls. Beggars Bridge found us sitting thankfully and drinking water in preparation for a walk along the ancient trods through the woodland. west) and paused for a photo-opportunity. Downhill to Danby, making good time so that we arrived at Danby Church in time for a very welcome cup of tea from the welcoming people at Danby. by a talking statue who lectured on the fish to be found in the river. The Moors Centre at Danby were selling welcome refreshments and we finished our second stage at the centre with prayer. 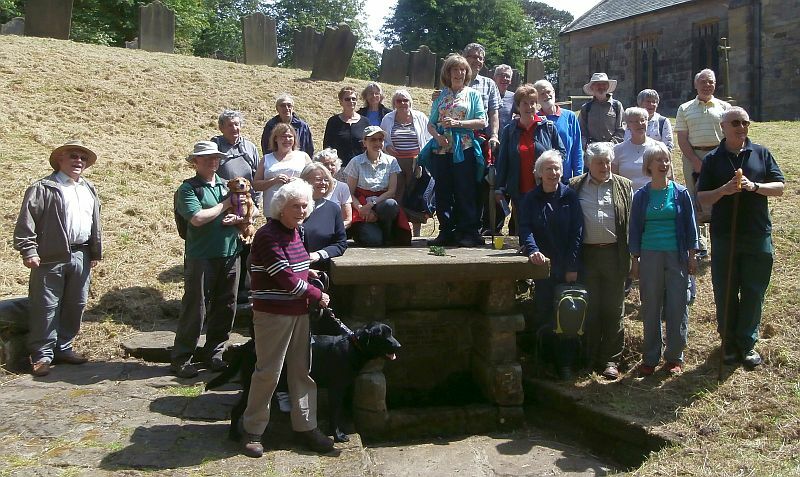 The Pilgrimage began at 11am at St Hilda’s Hinderwell. had come to start this new footpath off to a great start. The setting off was in sunshine. The grass and trees verdant and everyone in good spirits. 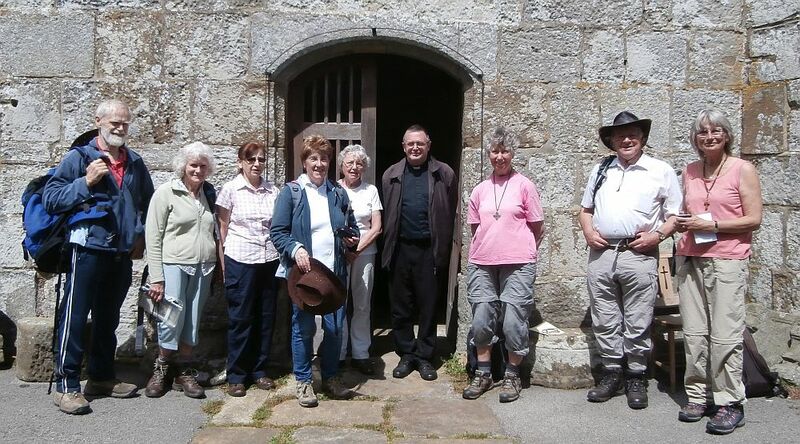 Some found the going more difficult than others, which is always the case in the pilgrimage through life, but the group of pilgrims good humouredly waited, ate, chatted and generally seemed to have a good time. We arrived at Scaling dam in quite a breeze but managed to pray the pilgrimage prayer at the end of the day before departing to eat and rest. As the next day is a Monday our numbers tomorrow is expected to be rather less than today. 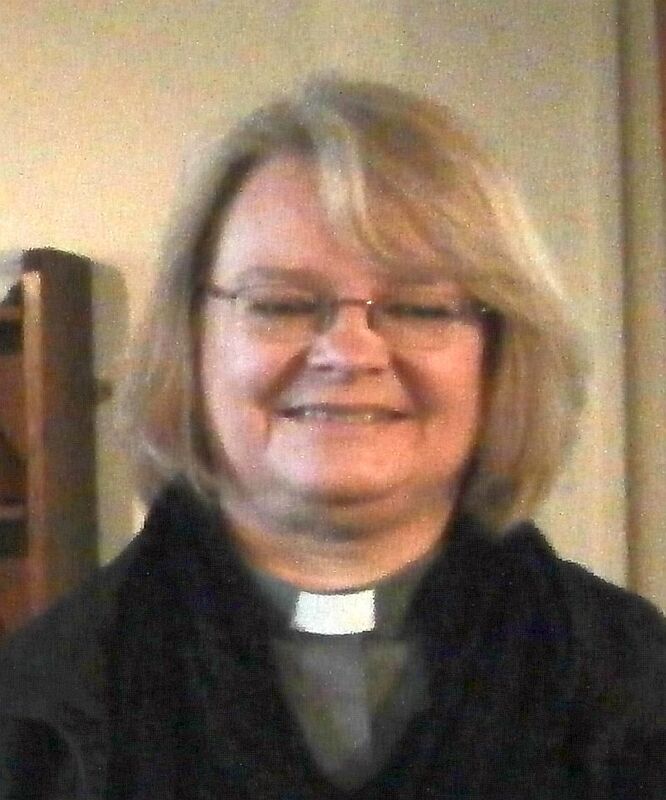 Last Sunday the Bishop of Whitby gave us some good publicity in an interview with Radio Tees. You can hear it if you click on interview as the link. It comes after about 1 hour and 41 minutes. St Hilda’s Way’. The book will be available from TIC in Whitby, Scarborough and Filey, from churches in the Whitby area, from the NY Moors Centre at Danby and the Gateway Centre at Staithes. Hopefully there will be some Media interest and we are getting all geared up for the Launch on 28th June – 3rd July. We have been very pleased that those who have seen it appear to like it and it only costs £5 with profits going to Christian Aid and the Whitby Churches Mission Fund. Soon the book will be available online at Amazon, so keep looking. Author NancyPosted on June 5, 2015 Categories PilgrimageLeave a comment on The book! 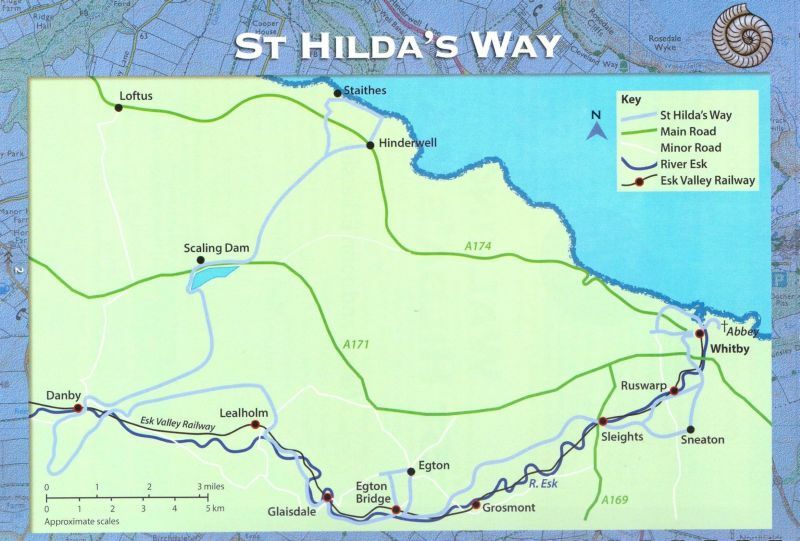 St Hilda’s Way is a new 43 miles long-distance trail in North Yorkshire, starting from Hinderwell and finishing at Whitby Abbey. 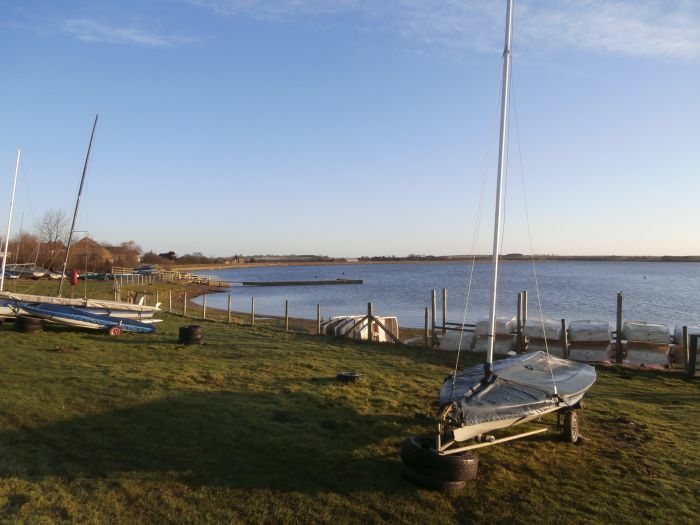 Nancy and John have lent their assistance in devising the route and writing the guidebook. 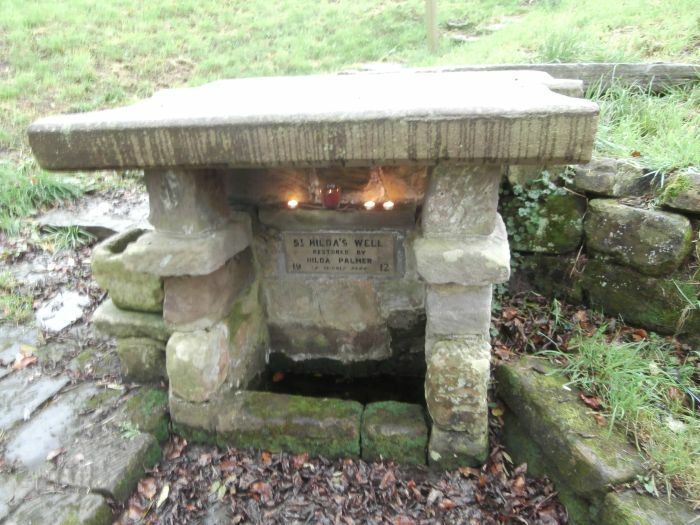 St Hilda’s Way is being launched on Sunday 28 June 2015 with a special service at St Hilda’s Well at Hinderwell Church. 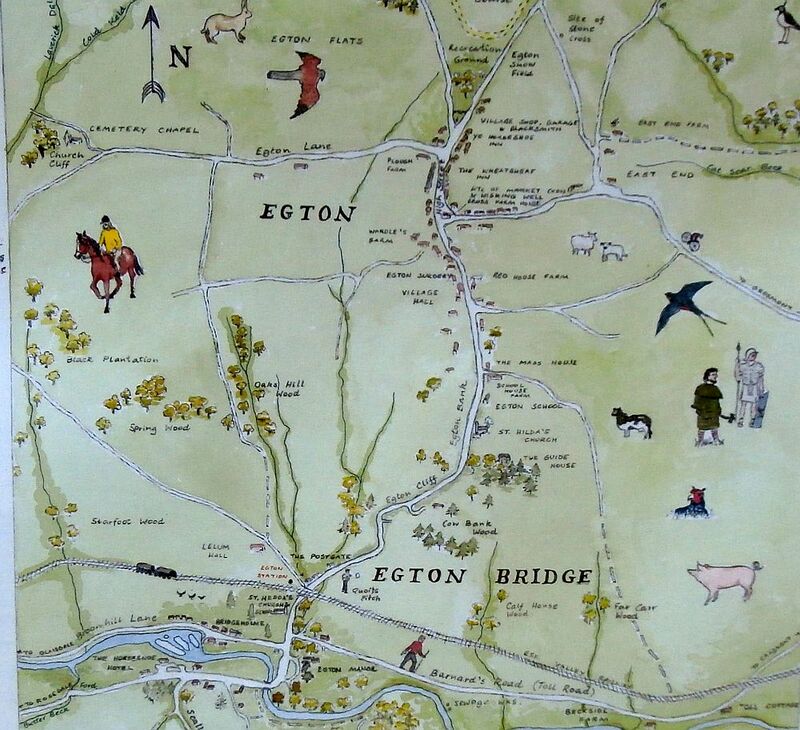 There is then a led pilgrimage and the full walk will be completed over the following five days. 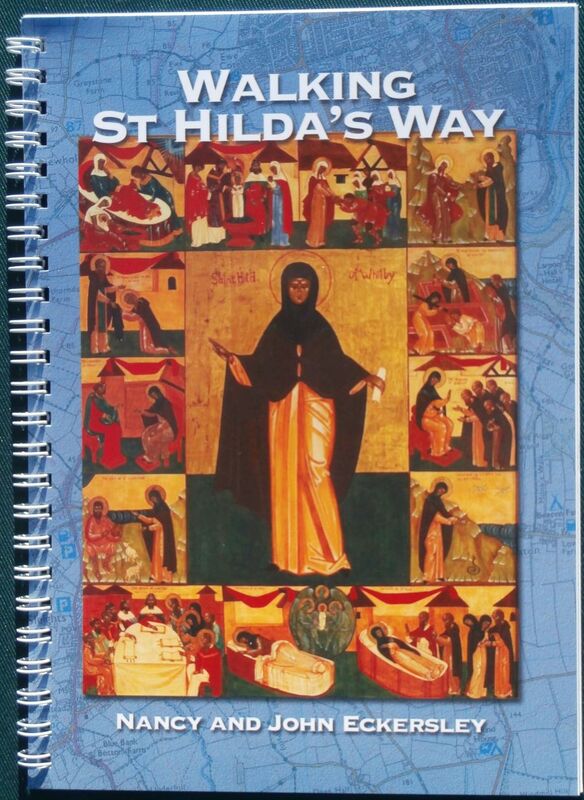 Click here, or on the St Hilda tab above, for lots more information about the walk.